Hello guys, today i am going to tell you “How to record android slow motion video” in any android phone. Yes you heared it right, you can create slow motion videos in android phone. To know more about this, just read the article thoroughly. Undoubtedly Android is one of the best operating system in current time, it has a lot of features that a user can’t even think about. Android has many features and applications, which makes it to the top spot. But everybody don’t knows, about all the useful applications and features of an android device. Very few peoples knows that they can capture a slow motion video in android phone, yes it is possible to make a slow motion video in android phone, so you don’t need a high quality camera to capture slow motion videos. Their are many applications available in android market, which we can use to create a slow motion video in android device. So in this article we will provide you the best application for making a slow motion video in an android device. 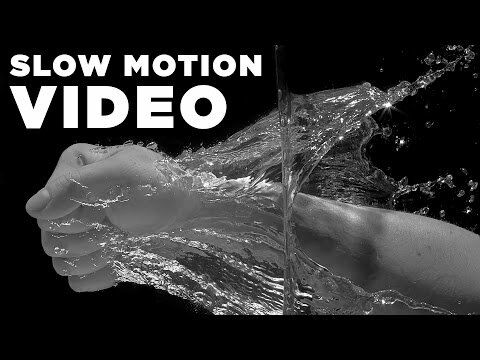 Let’s have a look on these awesome slow motion apps for android devices. You can record slow motion videos in any android phone with these applications, so now you don’t need to buy expensive cameras or smart phone to record slow motion video. 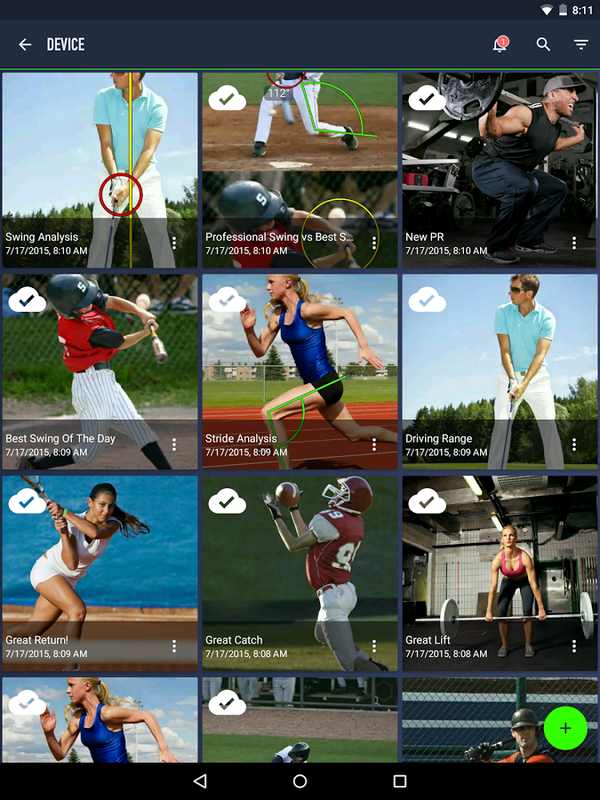 Because these apps are here for android to record videos in slow motion with your any android device. Below we have given a list and description of best slow motion apps for android, so let’s have a look on these apps. It is one of the best slow motion video recording apps for android, you can make slow motion videos easily with this application. You can also upload the output videos on Instagram or YouTube, by which you can show it to your friends and get likes. It also allow you to choose the speed of output movie, so that you can make a video slow or slower depends on you. 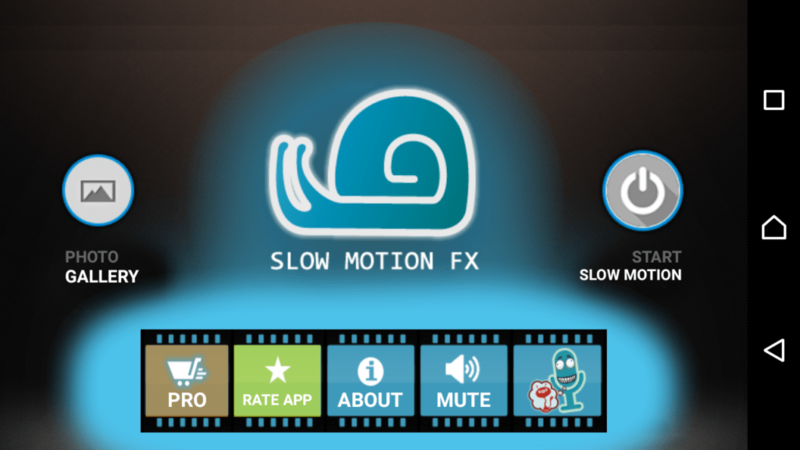 Let’s see the features of Slow Motion Video FX Application. You can record your speech and make it slow, so you will sound really strange. You can also make your speech fast, so your voice will sounds funny. Record your pets playing in slow motion. Record some objects falling down like – table spoon, nuts etc. You can do many things with it, whichever idea comes in your mind just record and have a fun. 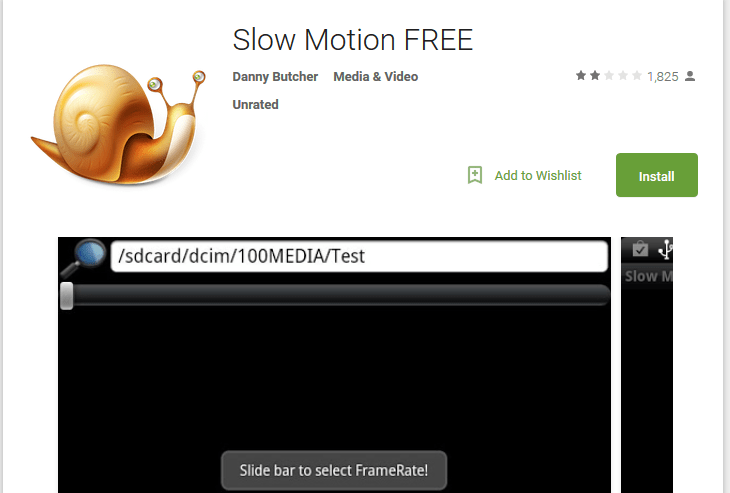 It is also a good application for making slow motion videos easily, its a totally free slow motion video application. You can either choose a recorded video to make it slow or make a new video and select it’s speed with this simple application. Show a perfect dance move with slow motion. Watch nature in slow motion. Coach’s Eye is the world’s leading video platform for coaches and athletes, who need to review athlete technique and game film. However anyone can use this app for their own purpose, you don’t need to be athlete for using this app. It is very innovative application, we will recommend you to give it a chance to record slow motion videos in android phone. You can free up space on your local device without losing your videos. You can access your videos from anywhere, from any device with cloud storage facility. Leverage a cross platform license, which unlocks the full power of the world’s best mobile coaching tools. 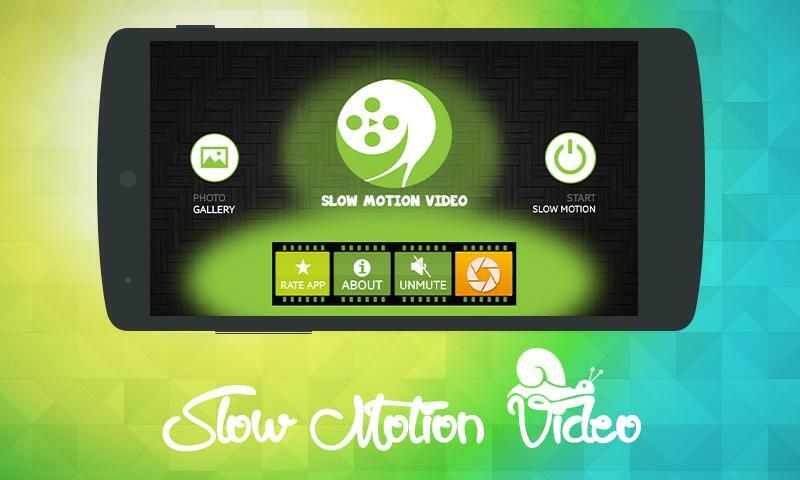 It is one of the best application for android to make slow motion videos, you can enjoy any movie with slow motion. This app allows you to make any existing video in slow motion, or you can create a new video with slow motion camera app. Let’s have look on the features of this application. Video slow to pour a glass of water, leaving spoon, falling down nuts etc. will be very interesting with slow motion effects. Both video and voice will be slowing down in social motion. It is also a good application for making your videos slower, it has many functions which you can use to edit your videos easily. 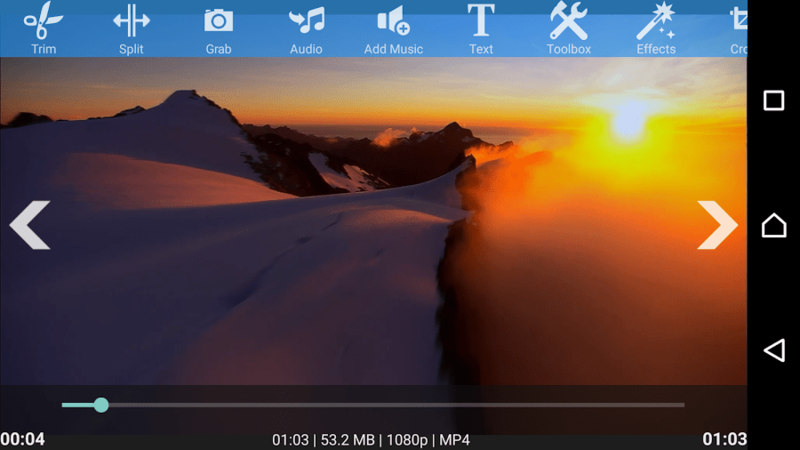 AndroidVid – video editor makes it very simple to edit your videos. Let’s see it’s interesting features. Video Joiner: merge multiple video click into one video. Video Trimmer: Remove unwanted parts from your videos. Video & Audio Mixer: Add music to your videos and adjust music and video volumes. Video Toolbox: Enhance your videos, adjust brightness, change volume etc. Split your video in two separate video files. Apply video effects like slow motion, fading etc. Video Rotate: Rotate your videos quickly without encoding. Video Transcoder: Convert videos to different formats, change resolution to make your videos smaller. Supports conversion to 3GP, AVI, FLV, MP4, MPG, MOV, WMV and VOB formats. Slideshow maker: Make slideshow of your pictures, add effects, music etc. So above we have briefly described about all the applications, which can used to Record Android Slow Motion Video In Any Android Phone. These all applications are selected and best application for making slow motion videos. You can use any of the above given application for recording slow motion videos in your android phone. If you are facing any difficulty in using the applications given above, then you can tell us in comment section below. If you like this article about best slow motion camera apps for android, then don’t forget to share it with others. Stay connected with us for more useful articles, useful tips&tricks of android, iPhone etc.